I am not sure where the past two weeks went. If you find them, let me know. I guess I’ve been spending time being social in places other than social media. And trying to figure out the rest of my life and solve all life’s problems at midnight only to decide sleep is a better idea. Yeah, that sounds about right. This doesn’t mean my goal race of the season is a distant memory, and now is as good a time as ever to share how it went…. 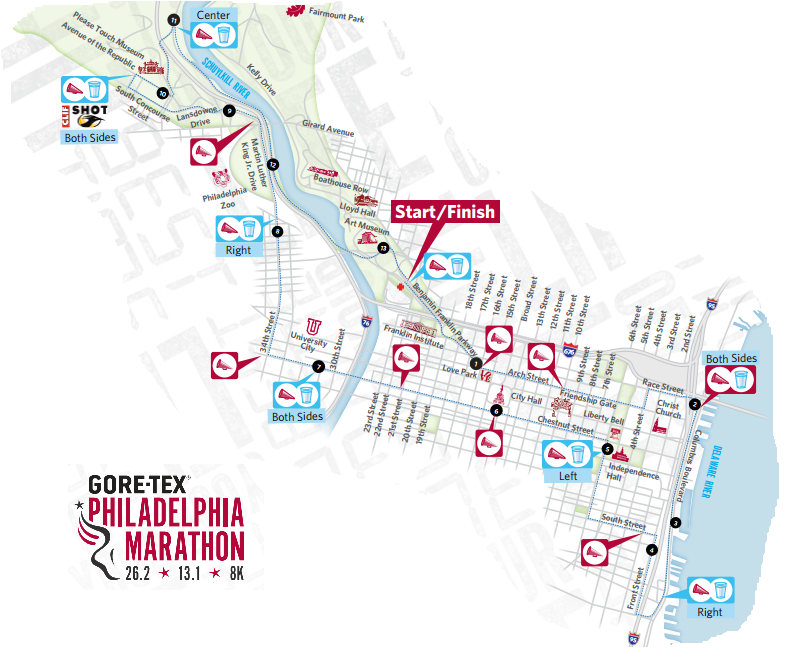 As I mentioned before the race, I was feeling great about the Philly Half in mid- to late October: super motivated, super determined, and confident in my ability to make a goal that was more ambitious than any I’ve ever set before. Then, sometime around Halloween/NYC, probably, I started to feel worn down, mentally and physically. 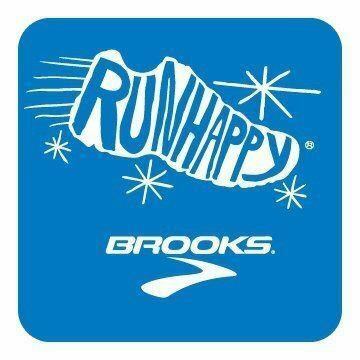 I no longer felt that invincible feeling that I could negative split races, workouts, and long runs forever and ever. I didn’t really have a desire to make sure my runs were completed significantly under eight minute pace anymore. The truth was, I was still training, and I was just listening to my body more than my mind. I don’t think this ended up being a bad thing, nor was it bad weeks of training. It was all mental. So, going into the race, I tried to get back the mentality I had before and during the Perfect 10: have fun, don’t think too much, just run. Cruise. 6:50 pace is now easy; just do it, it will be fine. Race morning was a balmy 52 degrees and humid. I ended up managing the easiest transportation plan humanly possible: I stayed at my parents’ across the river the night before, and my dad dropped me off at the downtown Sheraton just before 6 AM, where I met up with a few people to walk to the start. The drive was about fifteen minutes, max. Sweet deal (10 minute light rail ride back to NJ too, that’s what’s up). I even ditched my gloves by throwing them back at him through the open car window at the last minute. The lobby was full of runners, and I started getting excited. My legs felt ready (at least more than they did earlier in the week when I was wondering why I did so many squats…). I used the lobby bathroom, expecting to also use a porta potty later. Instead, what happened was what every runner dreams about but it never happens: I didn’t need to use a porta potty at all. 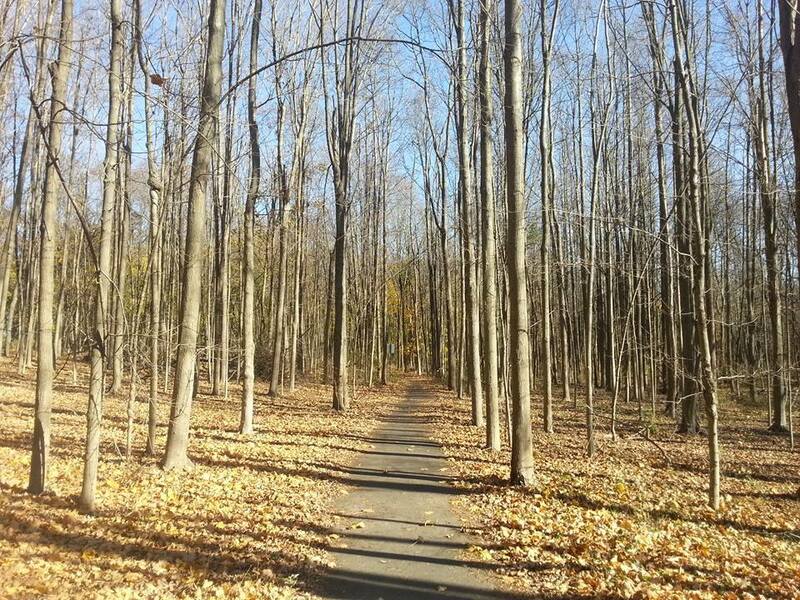 Seriously – it was a runner’s miracle. AM I RIGHT?! In most race recaps, I break down the experience mile by mile, or groups of miles. For some reason, I didn’t think of this race in terms of miles at all, even while I was running. The times shown on my watch each time it beeped seemed totally irrelevant. I only glanced at the average lap pace and took it one street at a time. So, I’m going to break things down the way I did in my mind during the race: section by section of the course. I was 100% calm at the gun. I feel less nervous with every race I have done this year. I thought that when the air horn (I believe it wasn’t actually a gun) sounded, they would wait for the elites and seeded runners to take off and then we would be allowed to go, but we just went right with them, only seconds after 7:00:00 AM. With over 30,000 runners in the marathon and half marathon combined, this was by far the most densely populated race I have ever run. 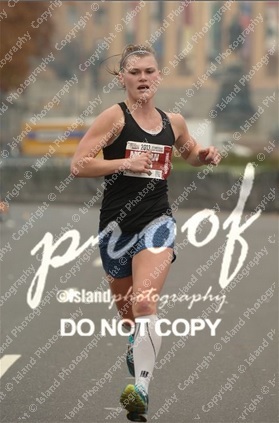 The problem with my “let’s try to feel like I did in the Perfect 10” plan was that this was the opposite atmosphere of that race: I didn’t know who I was running next to, or in front of, or behind. I didn’t know the course step by step. I didn’t know each and every turn, and therefore, tangent. So, the start was…weird. I started off at 6:36-6:45 and made myself reel it back; the plan was to negative-split and I would not let anything or anyone change that plan. I went through a period of mental confusion when I felt like tons of people were barreling on past me and I felt like I was hardly working. In short: there was a lot of conscious slowing down, speeding up, and looking around on my part, all the way to the river. My mile splits, the first of which I didn’t even look down and see, were 7:00 for mile 1 and 6:41 for mile 2. Big difference on paper, right? They felt exactly the same. This may have been about the time I shifted my focus entirely to maintaining a constant, appropriate effort, and sectioning off the course by the roads, not the mile markers. The third mile was straight and boring, along the river. My 5k split was probably around 21:30 but I’m not positive. Mile 3 was 6:57. One thing I was dealing with I tried to push out of my mind was my shins were really tight. This used to happen to me all the time – basically, my anterior tibialis swells and I feel like my feet are just slapping on the ground. It’s hard to get good turnover when it happens, and I often slow down (on a normal run) until they loosen up. Because I knew they would loosen up, I wasn’t too concerned; I just felt like I was tiring them out though…like the wrong muscles were firing and there was nothing I could do but wait. So, that was really annoying, especially since this hadn’t happened in months. The muscles didn’t end up loosening up until about 5.5 miles. Mental or not, this made me glad I chose to wear my compression socks. We looped underneath 95 and ran on a few short stretches of roads, with a couple sharp turns. Heading up Front St., I saw Jack come out of nowhere and run by me. I yelled his name and waved. He asked how I was feeling (to which I said “eh, alright”), said something incomprehensible, and ran away. Turns out he started in the Black Corral thinking it was Maroon….Miles 4 and 5 were 6:50 and 6:57. Again, all of these splits felt pretty much unvaried. Just after mile 5 ended we turned left onto Chestnut (I actually didn’t know the street names at the time…), and a few things happened: 1.) The road narrowed, 2.) The crowds grew, 3.) I started feeling great. I sucked in all the energy and enthusiasm coming from the spectators who were now lining the curb with their signs and their coffees and their tired, morning-eyes. I read each and every sign and listened to distinctly every call. When people played music I hooked on to every beat. 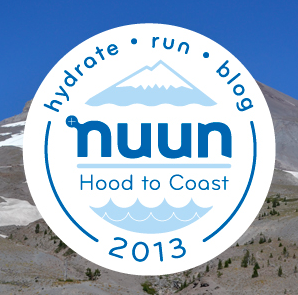 I got into the groove and started to enjoy myself and get excited for the miles to come. Even though the race didn’t start with me feeling 100%, I felt in control and ready to execute some plans in the later miles. I still felt patient and…controlled really is the right word here, pardon my repetition. Miles 6 and 7 were both 6:49. My official 10k split was 43:08. The long stretch that was Chestnut St. eventually had to end. But first, we crossed over the river and were greeted with the first slight hill near 30th Street Station (may have just been the bridge, actually…). I was lucky enough to receive cheers from some South Jersey runners I know at that point, which really helped! It was an eyes-on-the-prize, up-and-over “hill,” nothing too significant. We made a right on 34th soon after, which put us right in the heart of Drexel University’s fraternities. Music was blasting, much louder than I would assume is acceptable at any party, and the air legitimately smelled like beer. I’m pretty sure they were handing out some cups to runners, but the runners in this pace group were not likely to take any….I high-fived some frat guys and continued on. There was another overpass with another hill, this time more substantial, and then a tree-lined street which I am just learning (thanks Garmin/Google/course map with a key) was next to the Zoo. I remember glancing at my watch, at a woman ahead of me, and at a guy who definitely went off-course to relieve himself. If you want to throw a wrench into a negative-splitting plan that calls for a kick starting at mile 9, put a big, steep hill at mile 9. Like, exactly mile 9. This was not so cool. I tried to think about all the long runs I did in Princeton and Skillman with bigger hills than this one, but the reason in me came out when I thought, I let myself run 8+ minutes for those miles…this is a race, not a long run…not applicable. Thank you, reason. Really needed that now. Anyway, I made it up and over the hill and tried to coast afterwards. It was at this point that I realized I was working harder – breathing harder, feeling it in my legs more – just from the accumulation of miles as a precedent to that hill. But that was okay. It was time to do hard work. I ended up passing a lot of people on the straight stretch immediately following the hill. I also managed to run 6:47 for that mile (9), meaning my kick was in effect effort-wise, so hopefully that would transfer over to the flatter miles to come and they would actually be faster. I will reiterate that this race did not feel like a mile-by-mile race; mile 10 was 6:57, and I think the entire 8-11 stretch should be looked at and averaged out, if you were to really understand the pace pattern in effect. Again, I was more focused on the effort and the strategy. There was a musical, costumed bunch awaiting us at a really sharp turnaround – seriously, way too sharp Philly…one traffic cone?! To get back to Eakins Oval, the course basically just took us on the road along the river. I dropped a 6:39 mile for mile 11, which got me thinking I was on the right track now – if I could keep this up, and I felt like I could at the time – I would have a strong finish and get really close to 90 minutes. I didn’t do much math in my head at all during this race, but I knew whether or not I broke 1:30:00 would come to down to a matter of seconds. I knew every second from here on counted, but I tried to just keep running by feel, since I didn’t want to let that stress me out. Mile 12 was 6:44. I was hoping it would be faster. I was starting to feel fatigued, more than I would have liked to at that point. My legs just felt generally low on energy. Mile 13 felt uphill…it did have a net elevation gain, but not by much. I wasn’t entirely sure how soon the finish would come up, since I doubted I ran tangents all that well. All I knew was, I would regret not running as hard as I could with so little left to go (I said this at 12-12.5). And, I wanted the finish to come up as quickly as possible. I mustered a 6:56 for the 13th mile, wishing I could remove myself from the moment, reinsert, and change it to a 6:36 (the plan…). I rounded a bend and saw the clock ahead for the first time: it read 1:30:09. There was a twinge of disappointment when I saw that; however, I actually didn’t think it would still say 1:30:0x by the time I was right there. I pushed as hard as I could and finished in 1:30:18 for 13.21 miles according to the watch, finishing at 6:05 pace for the last 0.21. High-fiving Mayor Nutter. Don’t worry, the first time I saw this I was confused too. Then I saw his gloved hand. And recalled that I actually did this. I didn’t feel too bad immediately after finishing, which surprised me given how I felt during the last mile. One “takeaway” from those last long minutes: that was the first time in recent races I didn’t feel like an invincible treadmill, like I could drop the pace down to whatever I wanted. On one hand, I could take that to mean I wasn’t rested enough, or I could have broken 90 had I had even a “normal” day; I had an off day and that was unfortunate. On the other hand, and this is how I looked at it almost right away, this was a race. It was a race with hills positioned right at a place I would be most challenged; I responded as best I could and I gave it all I had. One more mile and that mile would have probably been slower. That’s the first time I can say that, and I’m going to take it to mean that “off day” or not, I gave it all and truly attempted to defy any pseudo-limitations that may have prevented me from reaching that state of fatigue other times. My big goal of breaking 90 sounded pretty crazy five months ago. 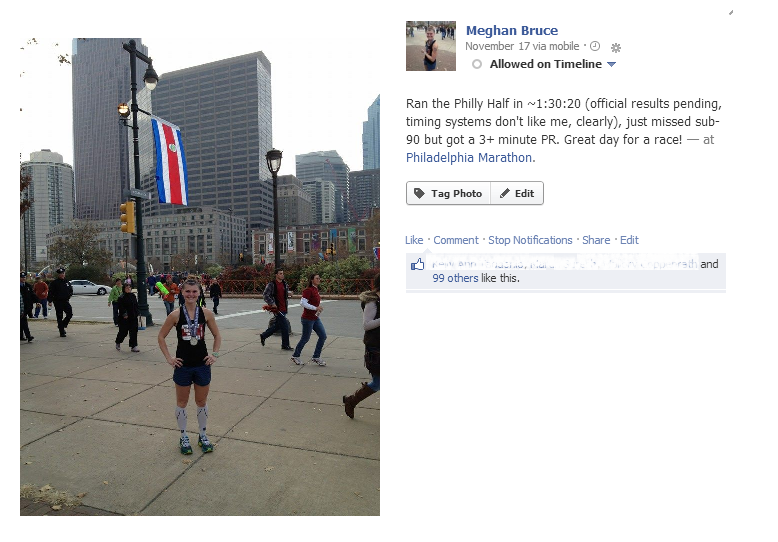 Even crazier eight months ago, after I curiously felt completely satisfied with my 1:33:33. Not something I could do yet. Not something I was sure I even wanted to ever set as my goal for the half marathon. When I checked my email confirmation before packet pickup, I saw I had written my estimated finish time as “1:32.” In my injured state, on June 30, that was the degree of confidence I had in my ability to race another half. Maybe sub-90 wasn’t really a crazy goal to have. Coming off of the summer I had, however, it certainly wasn’t to be expected, on paper. If I hadn’t made it a goal, crazy or not, I wouldn’t have come to close to it. So, for the first time this year I didn’t reach my “A goal” for a race, time-wise. That is perfectly fine. If 90 minutes is crazy, I’m really happy to have come within 19 seconds of crazy. So thankful to have so much support from all my runner (and non-runner) friends, past and present! It always means a lot to me when someone understands all it took to get to a PR. THIS IS MY FIRST MYLAR BLANKET EVER. I didn’t even need it, I was sweating like crazy. I almost thought I had a timing snafu…and I actually did until the evening! The one thing that’s still weird is my chip & gun time are the same. If you look, they clearly weren’t…but oh well. The chip time is correct (these days that seems like all I can ask for). 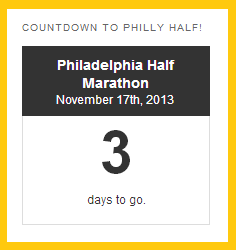 My goal race of the season is just three days away: the Philadelphia Half Marathon on Sunday, November 17. After the Perfect 10, I stated my goals for this race, and I admitted they were loftier, relatively, than goals I’ve made for other races this year. This was because I managed to surpass previous race goals significantly, so I figured why not fear my goal a little bit more? 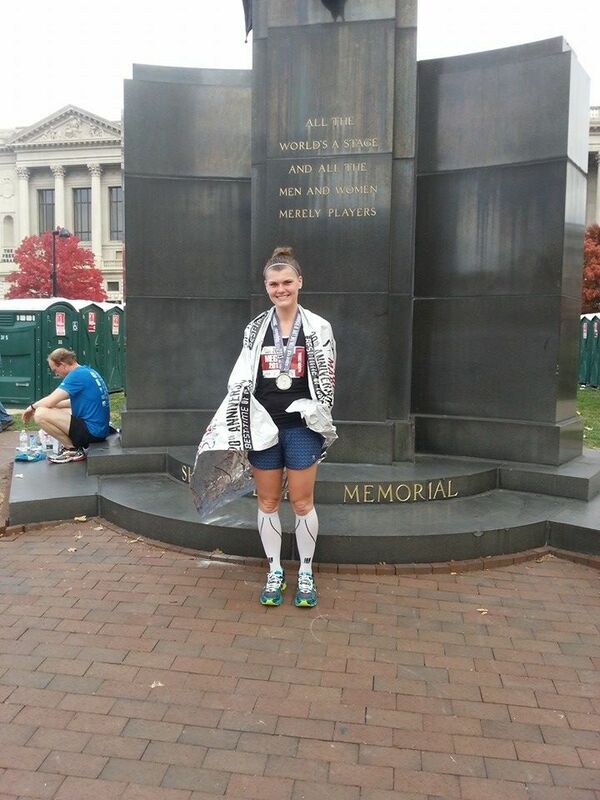 The goals were, simply put: run under 1:30:00, and do so with a negative split. That puts me at an average of under 6:52/mile, which after the Perfect 10, I thought was more doable than I had previously realized. I still think it’s doable. I haven’t missed a long run, workout, or other planned distance run since then. I’ve had some good workouts and ran a 10k PR less than a week later. Obviously, it’s normal to feel like this – not caring as much if I hit fast paces at the end of long runs, wanting to sleep more, wanting to avoid hills (though you wouldn’t think so by the routes I’ve been choosing…) – nearing the end of a training cycle. The thing is, I hardly know what it feels like to be at this point in training. I’ve only ever made it through one other “season,” and that was the one that concluded with the New Jersey Marathon…which I didn’t commit to in earnest until nearly a month before. 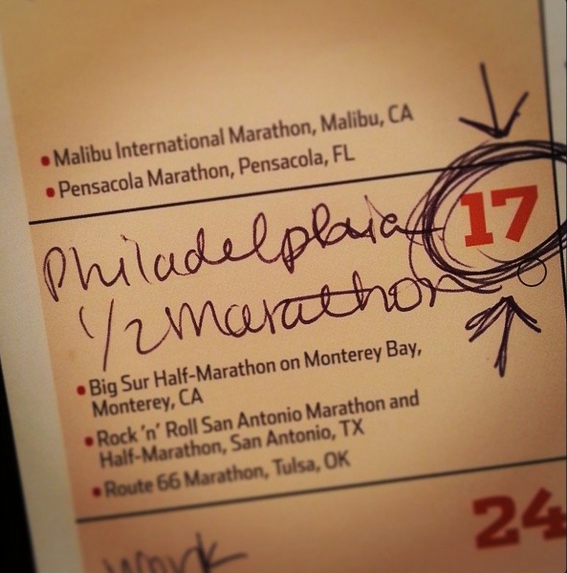 I registered for the Philly Half on June 30, the day before the last price increase. 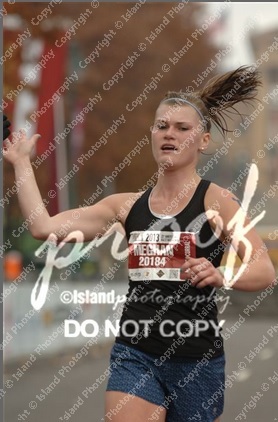 I never sign up for races so early, but I did it because…I don’t know. I did it because Steve was doing it. We registered at the same time, and confirmed this via text immediately. 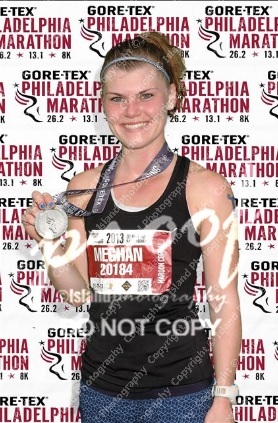 Throughout the fall (as you may recall I couldn’t even run when I signed up…), that had been the end goal: run sub-90 together at the Philly Half. 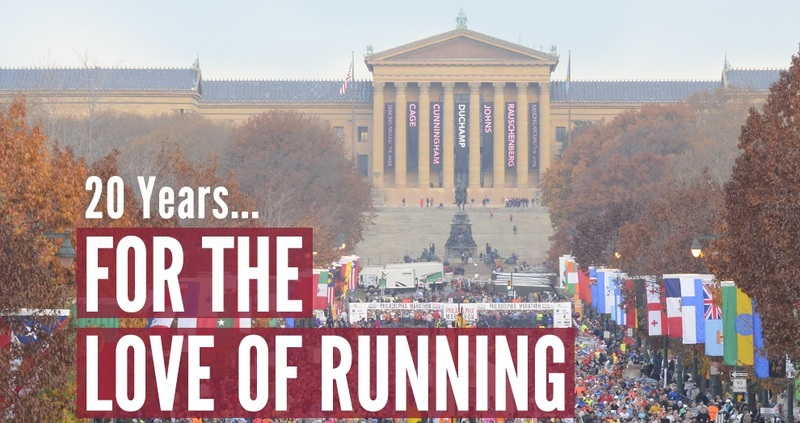 I’ve been training and running more races than usual, but they helped me believe that I could gauge my fitness, make as plan, and execute that plan on race day, and that Philly would prove no different. Even workouts and long runs became victorious milestones, and I found myself in a place, mentally and physically, I had never been before. Running fast was fun, and it was happening. In the past two or so weeks, that feeling has somewhat subsided. I don’t have that awesome feeling at the end of runs that make me toss goals around like, say, how running 3:17 in my next marathon sounds totally doable right now. Like how I never actually get tired when I run and negative split races, so the possibilities are endless. That was how I felt from late September to mid-October. Now, not so much. Nothing hurts. I haven’t skipped anything, like I said. So I can’t possibly be in worse shape. 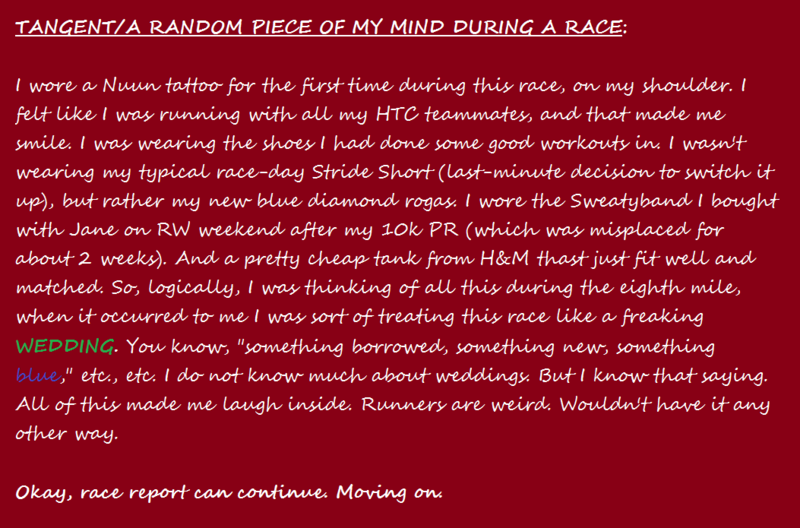 I tried to target what it was that made me feel not as motivated or confident, so I could address it before race day. I came up with a few theories. First was that I had simply lost focus. The Perfect 10 and the 10k were awesome, then there was a period of no racing, Halloween parties and such, the NYC expo which drained me. Among other things. Second was that Steve was gone, and could no longer motivate me every day, which was exactly what he had been doing. I found it hard to believe that one person could have such an effect on my motivation though, being someone who is usually very self-motivated. The only pictures of him on this blog are of him dressed as Ironman or on some kind of boat, but I suppose there are worse potential blog identities. Our first run together was the run I wasn’t able to finish: the sudden demise of my IT band on May 16th. On May 17th, my car got totaled, so we joked that he was definitely my bad luck charm. But, once I started running again and after a couple crazy months of being kind of all over the place, geographically and otherwise, we found ourselves actually being able to run together, for real this time. I don’t know exactly why, maybe there are several reasons behind it, but Steve made me see running through a new light this fall. Which, I might add, is really difficult to do to someone who is surrounded by running-related things all day. Maybe it was a combination of his confidence in me and in himself, no-nonsense attitude, and big dreams that made everything just make so much sense to me. It was like, this was the outlook I wanted to have toward running all along, but I was always pressured into believing I needed to be more careful, or else. That I shouldn’t dream too big and say those dreams out loud. Now, here was someone who I could say them to, and they wouldn’t be dismissed or greeted with doubt. Most of all, they would become challenges that weren’t overpowering or stressful, but FUN.The journey would be fun, the reward would be more fun. And the reflection would just cause hunger for more. And I loved it. Did I mention he’s the competitive type? For reasons beyond his control, he had to temporarily relocate to Oklahoma, as of the week following the Perfect 10. I still have people to run with, sort of. I have people to discuss my race goals with, and talk about my workouts and ask for advice. But it’s not the same, for whatever reason. So, I thought maybe that was why my head doesn’t feel 100% in the game anymore. I was so excited for the Perfect 10, and distracted from any fears. I don’t doubt that Steve was most of the reason why. 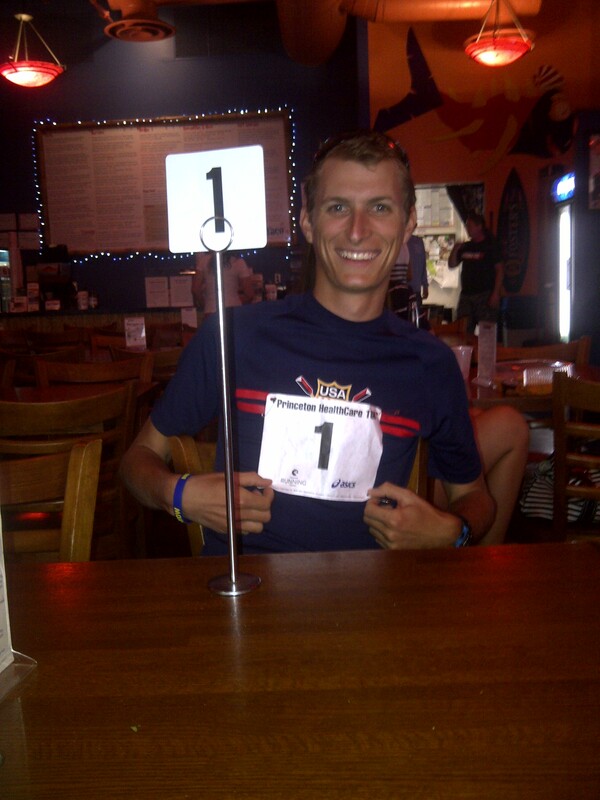 I may have signed him up to track me Sunday against his will…accountability is the word of the day. The third reason I might be feeling a little out of it – and by the way, these are not excuses! In fact, I’m so mad that I’m feeling like this because it’s totally unacceptable; I’m just looking for attitude adjustment opportunities by searching for these reasons – is the end of Daylight Savings. The feeling hit me hard at the exact same time, and I thought it was just the stress of the expo. It makes so much sense though. I know I am very affected chemically by loss of daylight hours and seasonal affective disorder. I should have picked a race that was right before this weekend instead…because this year it might be worse than previous years. If there is a chemical change in the body, of course it’s going to affect things – sleep, which in turn affects mood, motivation, and just the general feeling I have on runs. Sunday morning I felt like stopping at a half mile and laughing at myself, that’s how strange my legs felt, and how awoken-from-deep-sleep my head felt. I should hibernate. I really should. This has led to a “get this over with” attitude towards Sunday, which is not what I want. Make a new mix CD, and include new songs worthy of repeating over and over again so that I can reach into my brain for it during the race if need be. Everything falling into that category now for me is too slow…. 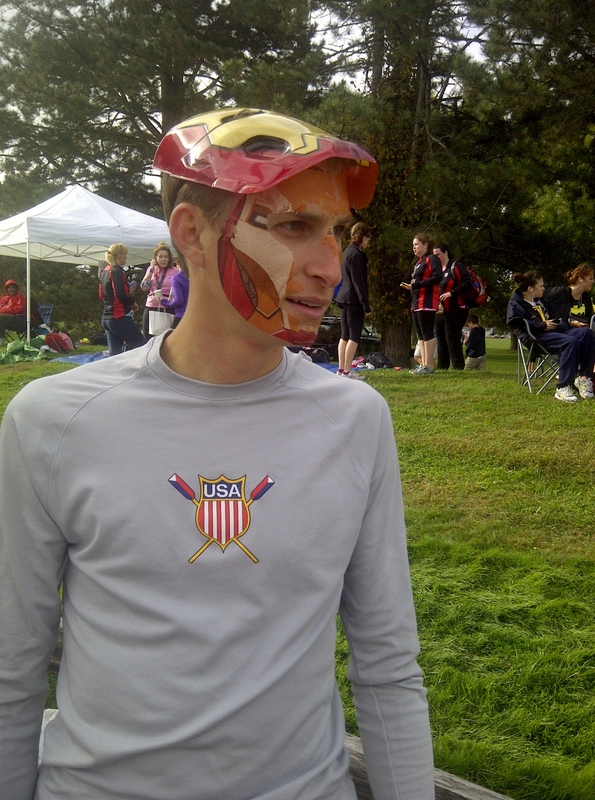 Read all my blog entries from this fall when I felt awesome. Try my best to REST. Finally figure out what shirt I’m wearing so I can visualize myself racing. Wear compression socks. Maybe even ice. Look at my training log from this fall. Plan strategies according to the course map. Maybe make Steve give me a pep talk? And of course, do anything else I can to GET PUMPED because now it’s MY TURN! 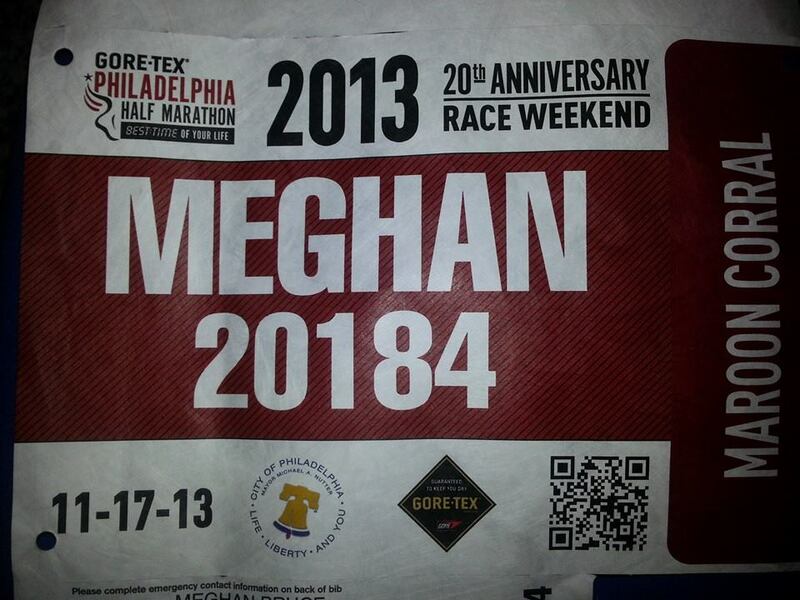 My bib number is 20184 if you are interested in tracking…though you don’t need to know the number to track I think? I’ve never had such a large number or ran in such a big race!